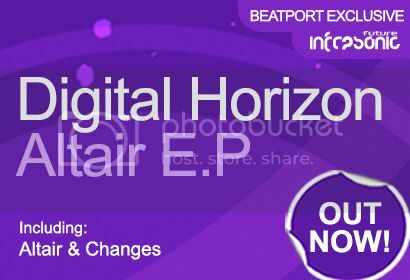 Digital Horizon - Altair E.P [Infrasonic Future] | OUT NOW! 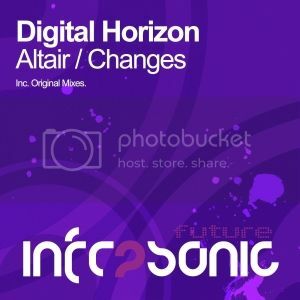 Thread: Digital Horizon - Altair E.P [Infrasonic Future] | OUT NOW! The flawless production trio outfit that is Digital Horizon return to Infrasonic Future with their next offering in the form of the ‘Altair E.P’. Kicking off their latest account with ‘Altair’, it’s a wicked show stopper that definitely gets the blood pumping. With its throbbing kick, acid lead bass note and slightly hypnotic and enchanting melody. The guys have cooked up the perfect recipe to open their E.P. Taking things a little deeper and moving down the progressive route for their next track, the cool laid back vibes of ‘Changes’ begin to emanate from the off. With a dirty bass line, cool percussion and a sublime breakdown, it has all the makings of a classic record. It’s another essential double header from the Digital Horizon guys and one not to be missed.